Is Sikkim an indicator of what awaits PM Modi's Organic Mission in the North East? The transition from conventional to organic farming, combined with climate change, is proving disastrous. Sikkim became India’s first organic state on January 18, 2016, about eight years after its government set up a mission to convert 77,000 hectares of agricultural land into organically cultivated land. As Prime Minister Narendra Modi visited the North Eastern state to make the official announcement, the celebrations drowned the fact that Sikkim’s orange crop, which typically begins to ripen in November, had failed spectacularly that year. While the Organic Mission deserves all the praise it gets, it is important to remember the plight of farmers. Before the Sikkim Organic Mission, farmers used to practise conventional farming combined with age-old organic practices. The sudden shift from conventional pest and disease management, farmers discovered, could not be compensated by organic methods – the rampant use of fertilisers and pesticides in the past had already made their crop vulnerable, and without much knowledge about the organic means to fight pestilence and disease, they could not check their losses. The years of organic transition had anyway not been easy, despite the fact that the Sikkim government organised numerous workshops, trainings, excursions and extended all possible support to help the farmers shift from conventional to organic farming techniques. During my study, I interviewed almost 90 farmers across the southern part of Sikkim (East, West and South District), and conducted informal sessions with farmers from Darjeeling, asking them to list the possible casual factors because of which they may have lost their crops. Almost all the respondents mentioned pests and diseases as the most significant reasons for their loss, accounting for nearly 25% to 50% loss per orchard. The list of pests and diseases range from stem borers, leaf miners, citrus greening, aphids to fruit flies. Some result in fruit fall, yellowing of leaves, and twig-die-back, leading to the sort of crop failure farmers witnessed in 2015 and 2016. However, Darjeeling’s farmers still practice conventional farming – the fact that their yield has decreased anyway, suggests that organic farming alone is not to blame. Farmers in both Darjeeling and Sikkim admitted that with the changing climate, many factors which led to favourable growth can no longer be controlled. Early showers in February and March, which are very important for a good orange bloom, have been erratic in the recent past. Even so, it was the hailstones which hurt the yield the most. Between the months of May and July last year, some places experienced two to three major instances of hailstorms in Sikkim and Darjeeling. In the past six years, since I have been working in Sikkim on mandarin orange pollination for my doctoral research, I personally have noticed a drastic reduction in orange fruiting. I look at pollinators visiting fixed numbers of orange flowers. It was sad to see desperate farmers trying to figure out what went wrong with their crop – anything new seemed as though it might be the reason crops were affected and caused suspicion, my research was not exempt from blame either. But the lack of solutions is frustrating. A similar situation has been unfolding in the Darjeeling district of West Bengal. One farmer from Mongpoo who sold his orchard for Rs 2.1 lakh in 2014 received only Rs 56,000 in 2015. The figures communicate the gravity of the situation. Similarly, in Turuk village of South Sikkim, Sonam used orange trees as wood for fuel. 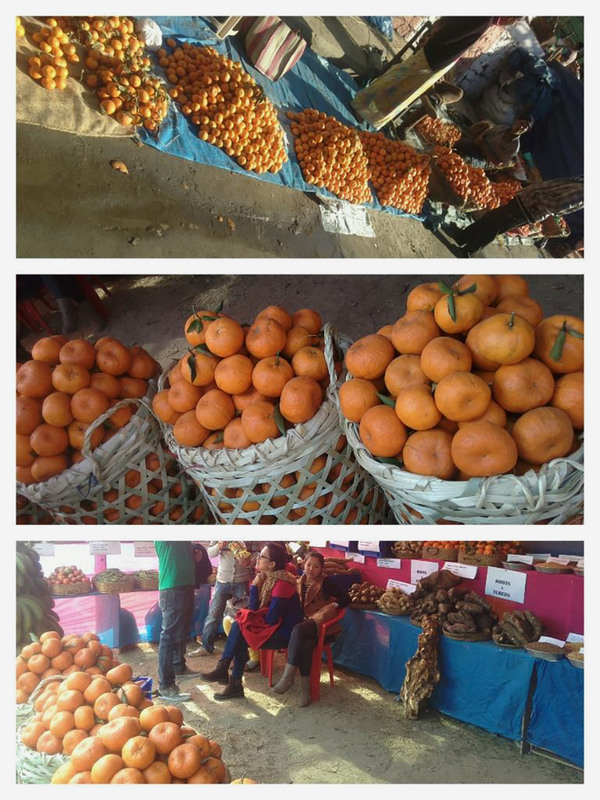 While news about the loss of oranges in Darjeeling garnered some attention in the local and regional dailies, the loss of farmers from Sikkim was overshadowed by the Organic Mission celebrations. Orange growers in Sikkim and Darjeeling sell their produce in advance only for two reasons – when it is rice sowing time (May-June) or during the Dasai/Loosung Hindu or Buddhist festival, when they need money. Middlemen pay them in bulk, and later during harvest season, depending on the quantity farmers are able to supply, they are paid the remaining balance. 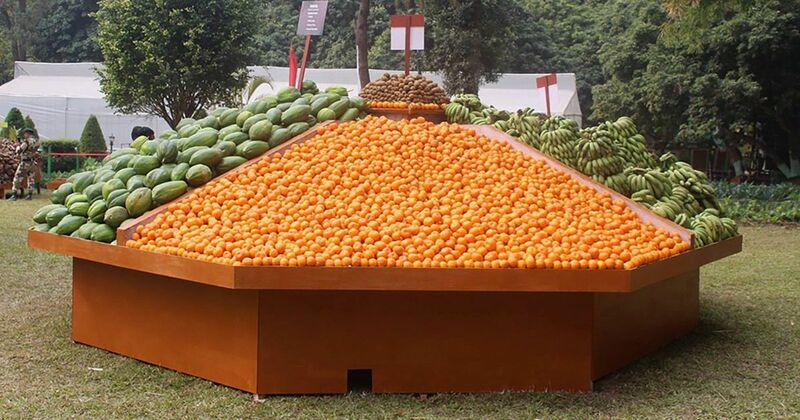 Some farmers even sell their fruits for up to three to five years in advance. I observed this very often, usually when the farmers were under the added financial pressure of building houses, or some other family commitments. Santa said he had seen his father approach the middlemen this way and that was why he started doing the same. As Santa says, they have never really been debt free. The life of a farmer or anyone involved with the farming community has always been difficult, but with bad fruiting seasons like in 2015 and 2016, life has become more difficult than usual. A list of every factor that may have caused yield reduction will be a long one. However, as Sikkim is India’s first organic state and a trendsetter in its own way, we should focus on how the farmers cope with the kinds of losses that have directly to do with the transition, particularly since Narendra Modi has envisaged turning all of the North East into an organic production region. Even if the government is pro-farmer, the lack of scientific knowledge about the crop has left its hands tied. 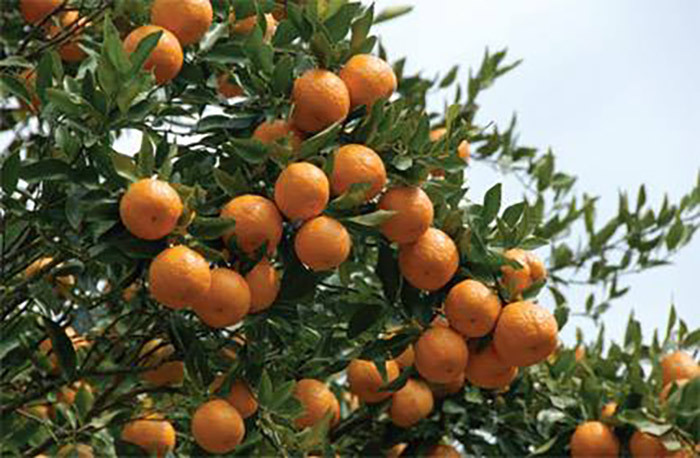 Farmers and officials already have the list of diseases and pests and other abiotic factors influencing orange production negatively, but the farmers lack training and knowledge about dealing with every pest. Whatever little knowledge the local officials have about pest and disease management is shared with farmers but considering the present situation, it does not seem enough. In that case, like any other field of study, investments should be made in acquiring sound scientific knowledge about these factors and the ways to combat them with support from the government and others with resources, wherever needed. Officials as well as farmers need to be trained in modern pest combat methods. Since climate change is threatening farmers, farming and farmers should be at the centre of climate change action plans. Darjeeling and Sikkim have almost completely lost their major cash crop, large cardamom, to diseases and changing climate. Its revival is happening at a very marginal scale and it may never be able to come back to its original state. No doubt going wholly organic is a step towards the government’s long-term vision of a healthy, sustainable and prosperous state. But care should be taken to safeguard the present and the future of these farmers.